When last we left Elam, Alexander the Great had defeated the Persians. With the end of the Achaemenian Empire, southern Mesopotamia and Persia were partitioned by Alexander into the satrapy of Babylonia in the south, while the northern part of Mesopotamia was joined with Syria into another satrapy. 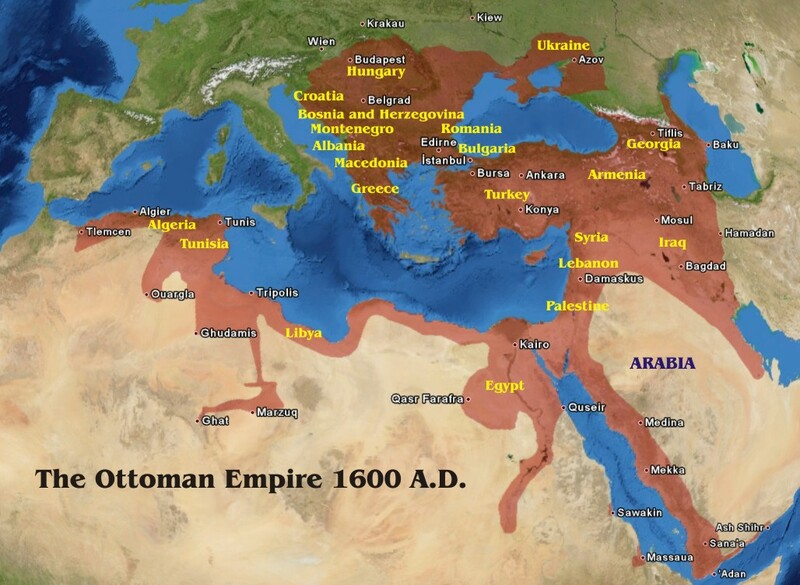 It is not known how long this division lasted, but by the death of Alexander the Great in 323 B.C, northern Mesopotamia was removed from Syria and made a separate satrapy. One of his generals, Seleucus (later Seleucus I Nicator), received the satrapy of Babylonia to rule. 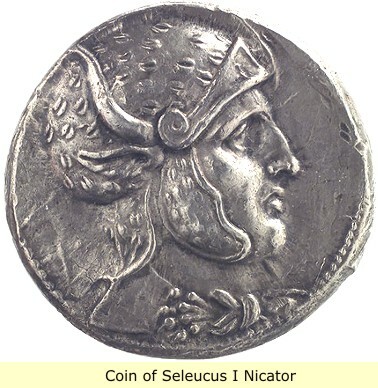 Seleucus thus became the ruler of a large empire, stretching from modern Afghanistan to the Mediterranean Sea. He founded a number of cities, the most important of which were Seleucia on the Tigris, and Antioch on the Orontes River in Syria. The borders of Parthia were the Kopet Dag mountain range in the north (today the border between Iran and Turkmenistan) and the Dasht-e-Kavir desert in the south. In the west was Media, in the northwest Hyrcania, in the northeast Margiana, in the southeast Aria. (The road from Media through Parthia to Margiana is the famous Silk Road.) On the other side of the southern desert was Persia proper. The country south of the Kopet Dag is fertile and was well irrigated in Antiquity. There were also large forests. 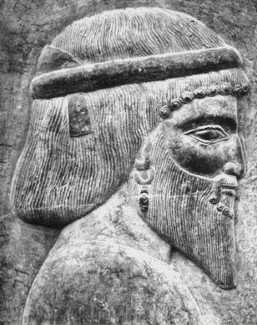 Assyrian texts mention a country named Partakka or Partukka in the seventh century B.C. At an unknown time its inhabitants were subjugated by the Medes, who ruled until they were subdued by the Persian leader Cyrus the Great in 550 B.C. For the next two centuries, Parthia was part of the Achaemenid Empire. 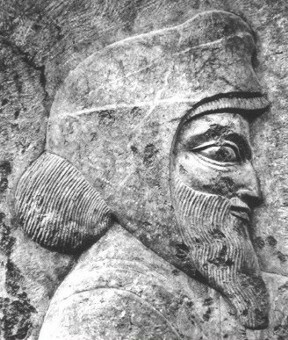 In 331 B.C, Parthians fought on the side of king Darius III in his struggle against the Macedonian invader Alexander the Great. During the battle of Gaugamela, the Parthians were commanded by Phrataphernes, who surrendered his satrapy when Alexander arrived in the summer of 330 B.C. He was reappointed and is known to have been satrap of Hyrcania in 323. In the chaotic period after the death of Alexander (June 11, 323 B.C. ), Parthia was at first still ruled by Phrataphernes. When the empire was divided at Triparadisus (320 B.C. ), it was allotted to one Philip, but two years later, the satrap of Media, a man named Peithon, seized the country and appointed his brother Eudamus; however the other satraps united and drove them back. From 316 B.C. on, the satrapy was ruled by Stasander, who was already satrap of Bactria, and must have seized Aria and Margiana too (which were situated between Parthia and his own satrapy). Between 308 and 303 B.C, these countries recognized the sovereignty of Seleucus, satrap of Babylon and founder of the Seleucid Empire. He and his descendants appointed the satraps of Parthia for more than sixty years. The Central-Asian steppe had been the home of nomadic tribes for centuries. These nomads roamed across the plains, attacking the urbanized countries to the south, east and west. They are known under many names One of these tribes was that of the Parni. They are unknown before the third century B.C. The area where they lived, along the river Syrdar'ya (Jaxartes), was occupied by a tribe that the Persians knew as the Dahâ, (litterally 'robbers'). The kings of the Seleucid dynasty were never able to control this area now known as Uzbekistan and Turkmenistan. During the Seleucid period these nomads started to move to the south, to the countries known as Bactria, Aria and Parthia. In 245 B.C, a satrap named Andragoras, revolted from the young Seleucid king Seleucus II, who had just succeeded to the throne. In the confusion, Parthia was attacked by the Parni, by 238 B.C, the Parni occupied the district known as Astavene. Three years later, a Parnian leader named Tiridates ventured further south and seized the rest of Parthia. A counter-offensive by king Seleucus II ended in disaster, and Hyrcania was also subdued by the Parni, the Parni made their capital at Hecatompylus. 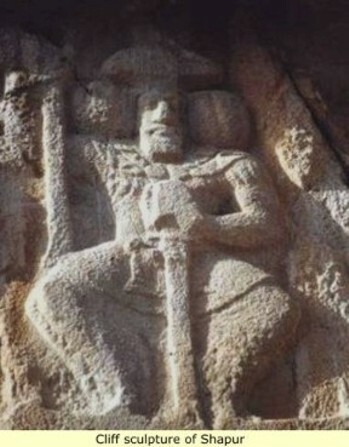 From then on, the Parni were known as Parthians. In the years that followed, their kings recognized the Seleucid kings as their superiors. 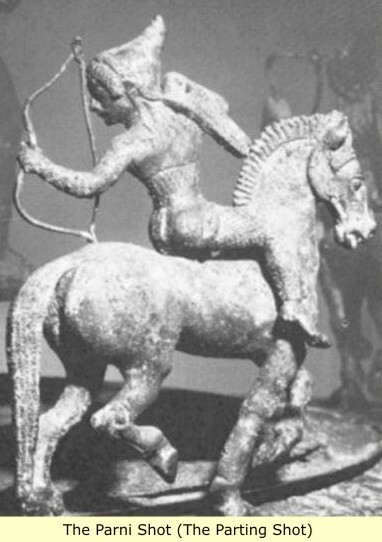 The Parni were expert Horsemen, known for having mastered the technique of turning their bodies – while at full gallop – and firing arrows at their pursuers. It was known as “The Parni Shot” later to be known as "The Parting Shot". After the death of Parthian king Mithradates I in 138 B.C, Seleucid king "Antiochus VII" began a campaign to recover lost Seleucid territory in the east. This campaign was successful until Antiochus VII lost his life in Persia in 129 B.C. His death ended Seleucid rule in Mesopotamia, and allowed for the establishment of small principalities in both south and north Mesopotamia. Also with the death of Antiochus VII, the Parthians then went on to conquer what was left of Media, Babylonia, and Assyria, thus creating the Parthian empire. This Parthian Empire would last until 224 A.D. The Parthian empire was not centralized, there were several languages, ethnically several peoples, and several economic systems. Thus the Parthian monarch was the ruler of his own kingdom, plus some eighteen vassal kings, such as the rulers of the city-state of Hatra, the port of Characene and the kingdom of Armenia. By now, Rome has become the great power in Europe, and they too are bent on conquest. The prize for them was what was left of the Seleucid Empire. The Parthians also wanted more of this territory. So in 69 B.C, the two enemies concluded a treaty in anticipation of taking the remnants of the Seleucid Empire and splitting it up amongst themselves. The Euphrates river would be their border, east of that would be Parthia's, west of the Euphrates would be Roman. The Seleucid Empire was assaulted from two sides: the Parthians attacked from the east, the Romans from the west. Six years later, the Roman commander "Pompey the Great" conquered what was left of the empire of the Seleucids. However, ten years later in 53 B.C, the Roman general Crassus invades Parthia. This would be the beginning of a series of wars, that were to last for almost three hundred years. 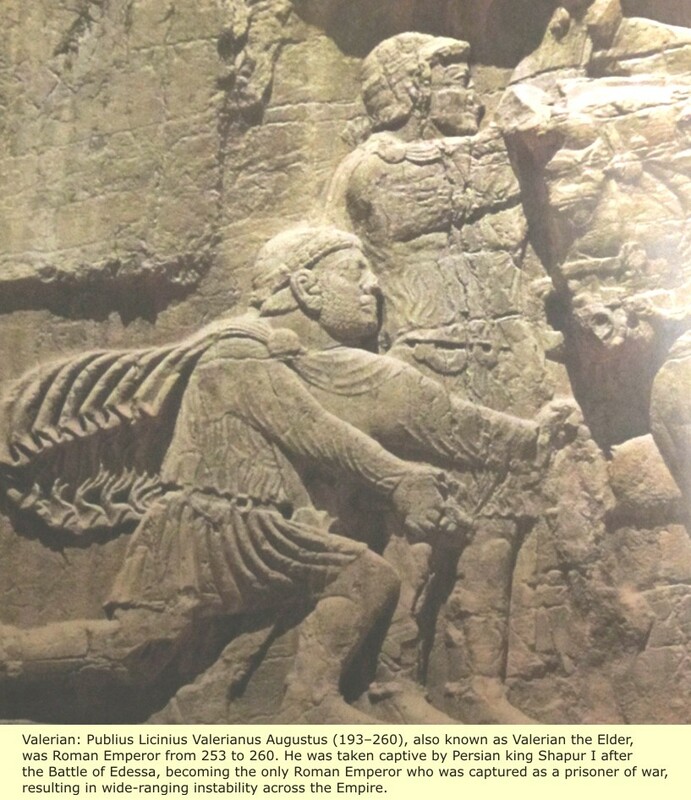 The Parthian armies consisted of two types of cavalry: the heavily-armed and armored cataphracts, and the lightly armed brigades of mounted archers. To the Romans, who relied on heavy infantry, the Parthians were hard to pin-down and defeat. On the other hand, the Parthians could never occupy conquered territory; they had neither the infantry nor the skills, to hold ground. This explains why the Roman-Parthian wars lasted so long. Also in these war years, the Romans have been divided between the supporters of Pompey and those of Julius Caesar. Because of this Roman civil war, there was no opportunity to concentrate on the Parthians. So in 41 B.C, Parthia invaded Roman territory in Syria, Cilicia, Caria, and then attacked the city of Phrygia. A second Parthian army invaded Judaea, and captured its king Hyrcanus II. The spoils from these victories were immense, and put to good use: king Phraates IV invested them in Ctesiphon, a new capital that he would built on the Tigris river. The wars with Rome continued, back and forth, until Septimius Severus became king of the Roman empire. He attacked Parthia, and Ctesiphon was captured in 198 A.D. As a result of this victory, large spoils were brought to Rome. Parthia was now impoverished, while at the same time, there had also been internal revolts in Parthia. And so in 224 A.D, the resurgent Persians, now under their king "Ardašir", culminated the war with Parthia that his father "Papak" had started. 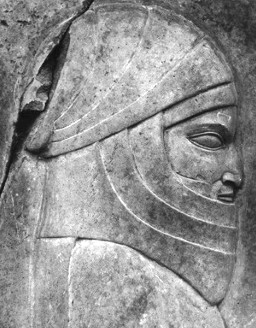 He defeated the last Parthian king "Artabanus V" in battle, and two years later, Ardašir took Ctesiphon. This meant the end of Parthia, and it also meant the beginning of the second Persian Empire, one ruled by the Sassanid kings. 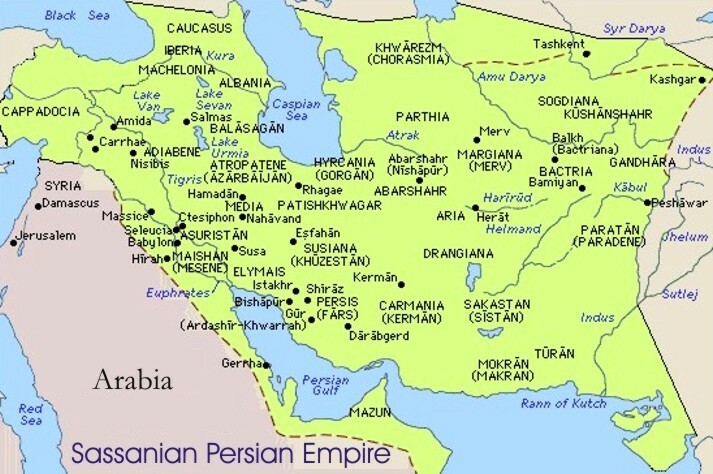 The beginnings of the Sassanian dynasty (alternatively Sasanian or Sasanid) are found in the southwest Persian state of Pars, (its modern name is Fars). Sometime in the first decade of the 3rd century A.D, a king by the name of Papak seized the throne of Pars. 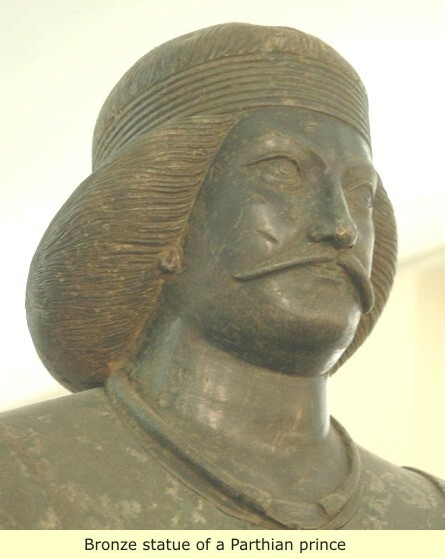 After unifying the region under his command, Papak waged war against the central Parthian government, but died before the conflict was resolved. 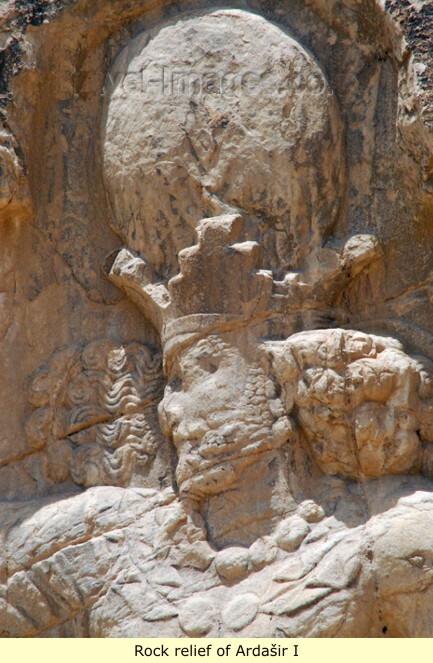 Papak's son Ardashir inherited the throne in 216 A.D, and continued the Persian campaign against the Parthian Empire. (Note the many spellings of this kings name). Historically - The Sassanian period marks the end of the ancient and the beginning of the medieval era in the history of the Middle East. By the beginning of the 3rd century A.D, Universalistic religions such as Christianity, Manichaeism, and even Zoroastrianism and Judaism had by now absorbed local religions and cults. Both the Sassanian and the Roman empires adopted official state religions, Zoroastrianism for the Sassanians and Christianity for the Romans. 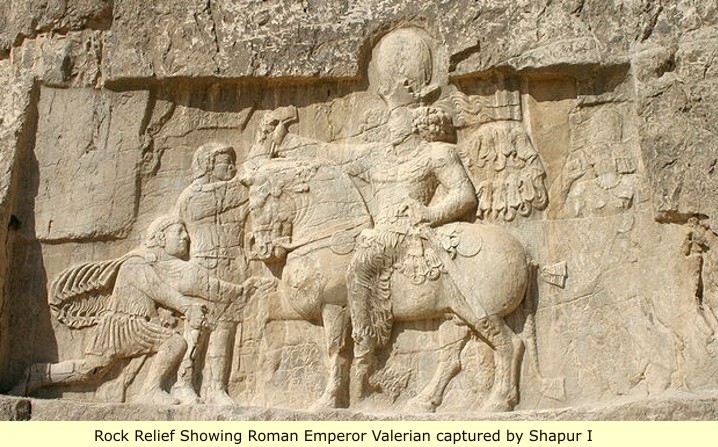 The new Sassanian rulers were not as tolerant religiously, as the Seleucids and Parthians had been, and religious persecutions did occur under Sassanian rule. It appears that religious communities, other than the Zoroastrians, had extra taxes imposed on them from time to time. This was especially true of the growing Christian community, particularly in the time of king Shapur II, "After" Christianity had became the official religion of the Roman Empire. 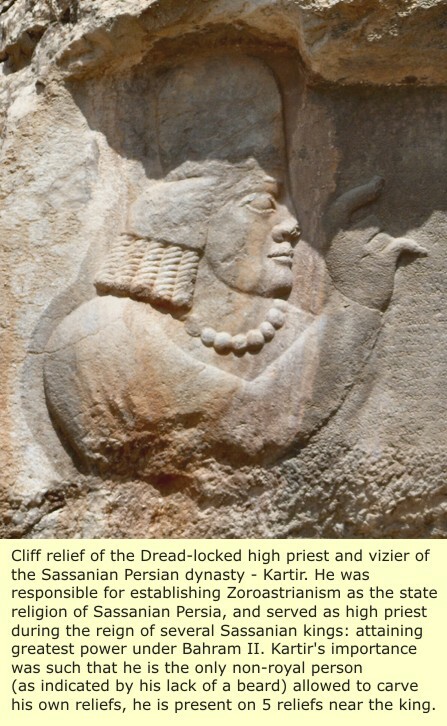 Religious communities now became fixed under the Sassanians and Mesopotamia with its large Hebrew and Christian populations experienced great changes because of the shift in primary allegiance from the king, to the head of the religious group. 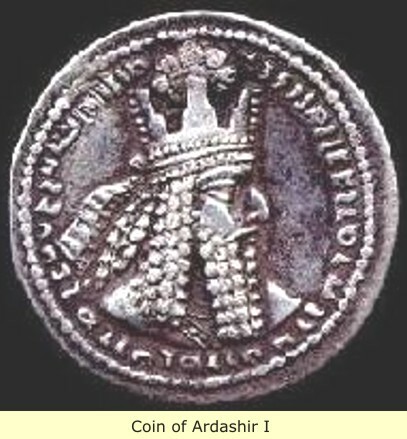 Thus the patriarch of the Hebrews had legal and tax-collecting authority over the Hebrews of the Sassanian Empire. 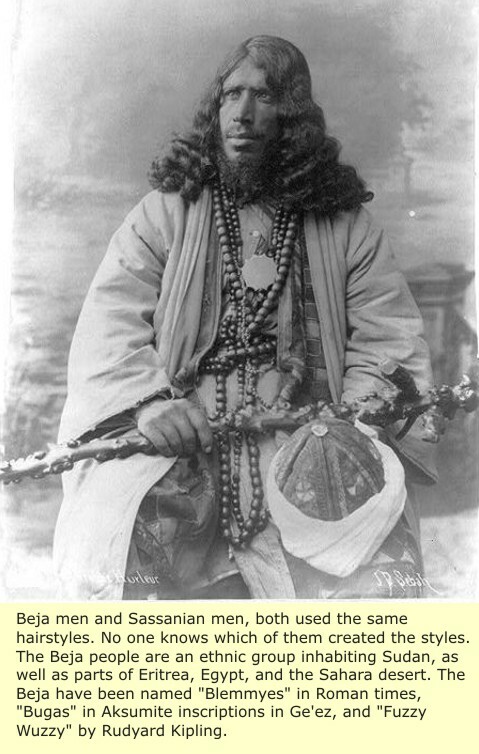 A particular object of persecution by the Sassanians, was Mani the founder of the Manichaean religion. He was born in Sumer, and his religion spread quickly, both to the east and west. Even before his death, his religion had came under severe persecution by the priests of the Zoroastrian religion. They viewed Manichaeism as a dangerous heresy, Christianity however was viewed not as a heresy, but as a separate religion. Thus Christianity was well tolerated, until it became the official religion of the enemy Roman Empire. Christians were then regarded as potential traitors to the Sassanian state. 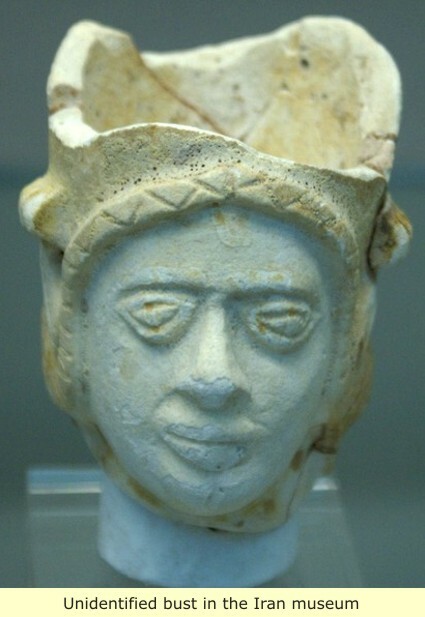 The identity of Sassanian kings was rarely annotated on their artifacts. But, they all used different crown designs. So modern researchers must identify them via their crown design. 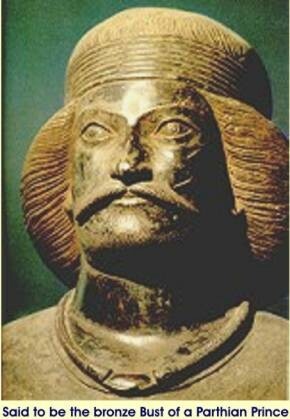 This statue can be identified as belonging to King Peroz I, because of the vertical crescent on his crown. 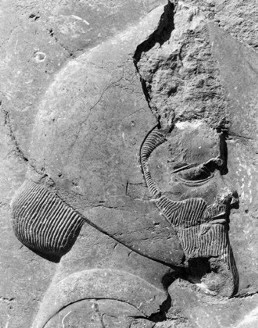 After Ardashir I, the first of the Sassanian kings, had consolidated his position in Persia, he moved into southern Mesopotamia. The city of Mesene submitted in 224 A.D, he then defeated and killed the last Parthian ruler Artabanus V. After which, Mesopotamia quickly fell before him. Ctesiphon became the main capital of the Sassanian Empire. 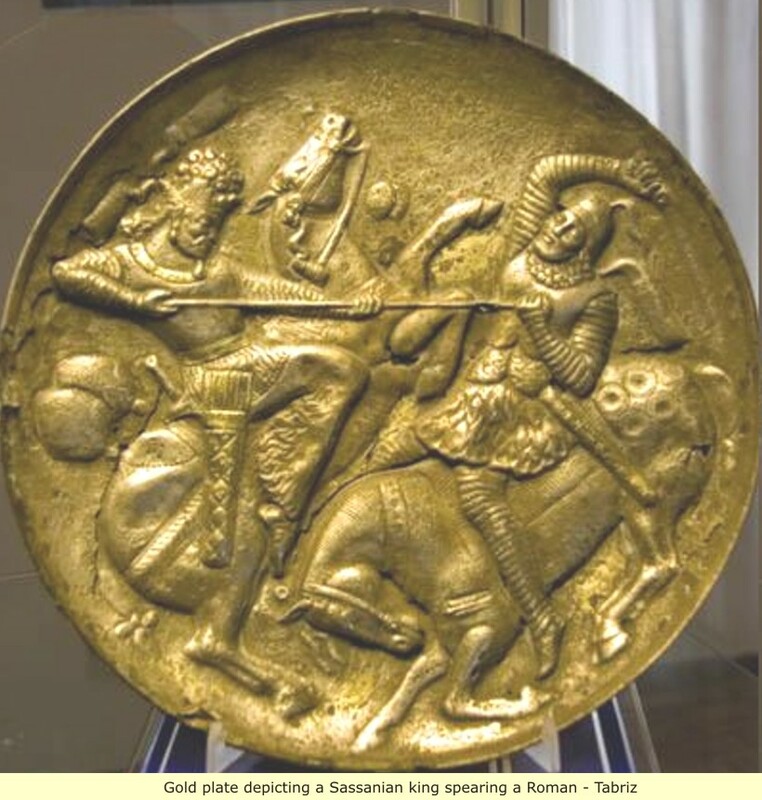 As always, these Sassanian Persians went on a campaign of conquest. 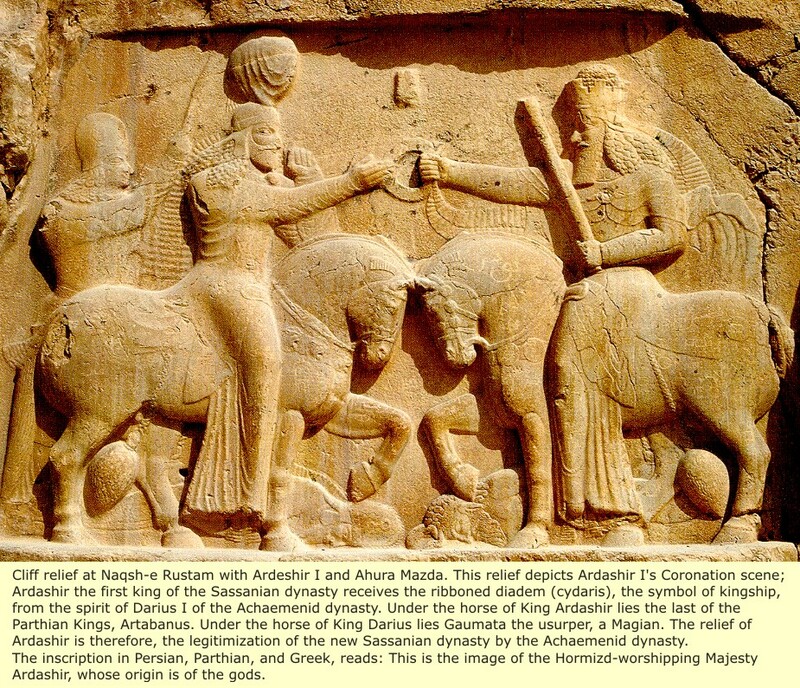 In about 238 A.D, Nisibis, Hatra and Harran, came under their control. 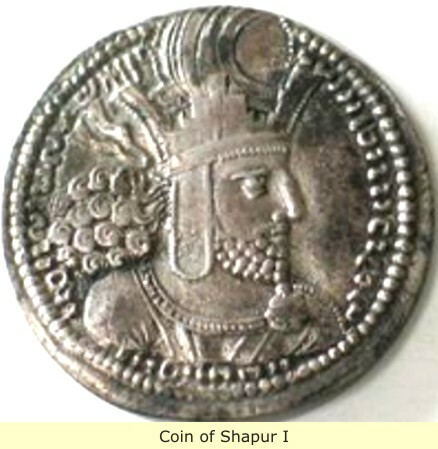 Then, Ardashir died and his son Shapur I became king. THAT'S BECAUSE HE "WAS" A BLACK MAN! The Roman emperor Gordian III, led a large army against Shapur I in 243 A.D. The Romans retook Harran and Nisibis and defeated the Sassanians at a battle near Resaina. But at another city "Anbar", renamed Peroz-Shapur ("Victorious Is Shapur"), the Sassanians inflicted a heavy defeat on the Romans. At this time, the Romans also lost their emperor. Later the "new" Roman emperor "Valerian", was defeated and captured at the gates of Edessa in 259 A.D. This victory was the high point of Shapurs conquests in the west. By now we know that all of those marble statues and busts of "Supposed" Greeks and Romans in museums, are really 1600-1800 creations, "SUPPOSEDLY" copies of bronze originals. But we can't help but wonder, what happened to the originals: What, after the marble copy was made, they destroyed the original? We of course, contend that they are purposeful frauds: intended to convince the world that Whites have a long and glorious history, and were involved in the earliest civilizations - which is of course, "Pure Fantasy". From it's condition, one can easily tell that the Cameo above, is a modern copy of the original. 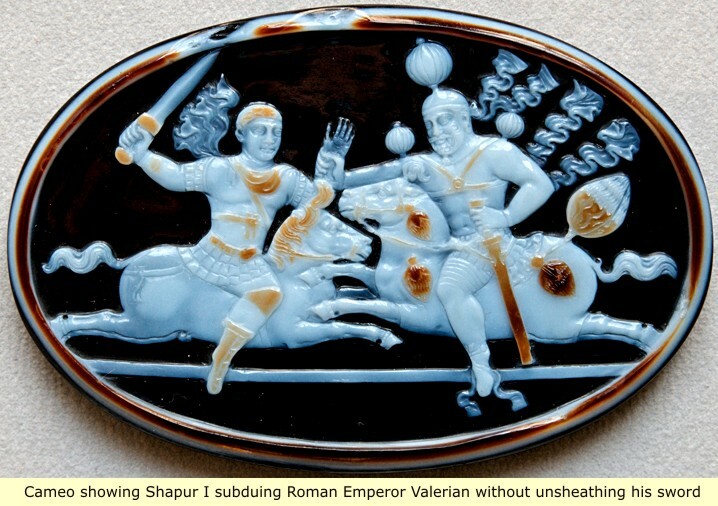 Below is an enlarged picture of the original - is Roman Emperor Valerian, on the left, Black or White? 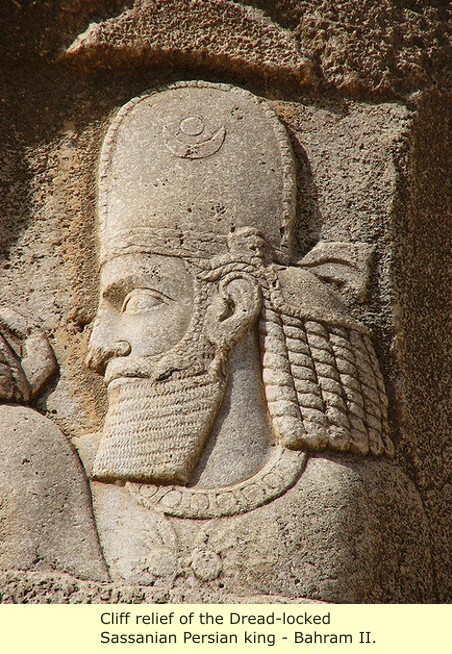 Were the ancient Persians White? 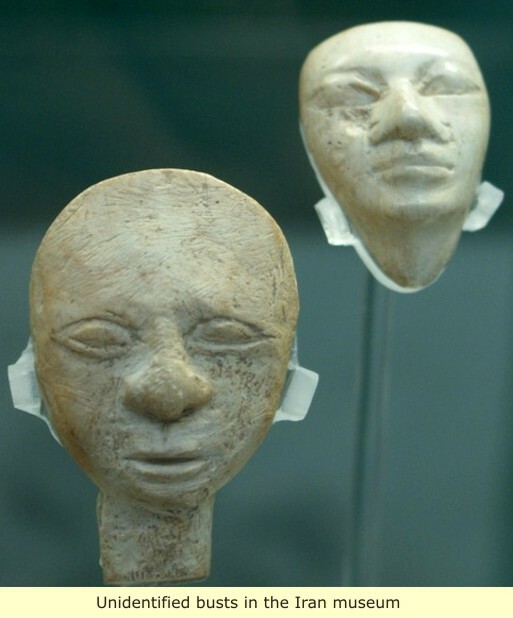 As with all of the ancient Black civilizations, the Albino people have busied themselves making FAKE artifacts depicting the ancient Persians as Whites. 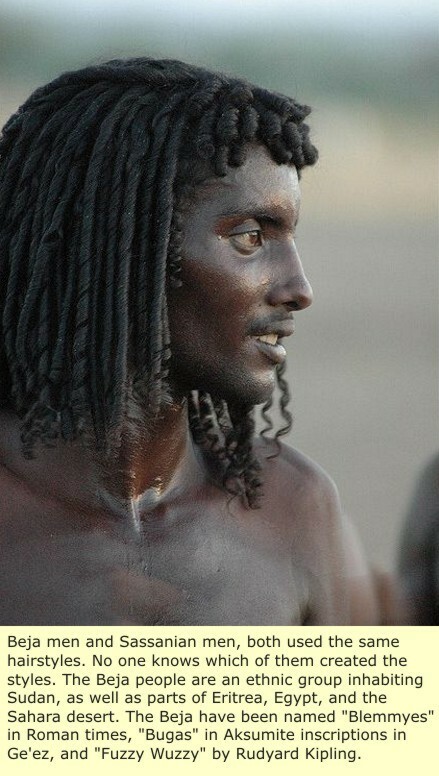 But what is truly incredible, is that they have somehow convinced themselves that those authentic statues and relief's of short or long, curly haired Persians, and those with short or long, curly haired beards - that those people with DREAD-LOCKS! Are WHITE PEOPLE! We often speak of the delusional nature of the Albino people - but that is taking it to the extreme. But being ever willing to teach, we shall now teach the Albino people, the difference between ancient depictions of Whites and Blacks. Please note that they show all Whites with "STRAIGHT" hair. 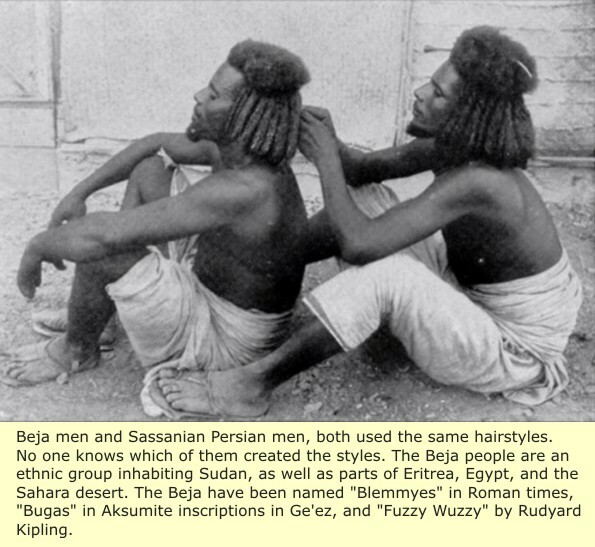 Since there are NO White people ANYWHERE in the world, with curly hair as the Persians depicted themselves - and others: There is no way that a sensible person could possibly confuse the two.